Kiki Jenkins is a freelance illustrator based in Chicago, Illinois. 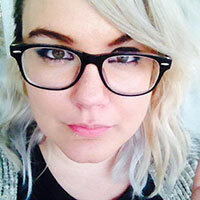 Born and raised in Atlanta, Georgia, she is the author and artist of Idolon, a lesbian crime romance webcomic that updates twice a week. 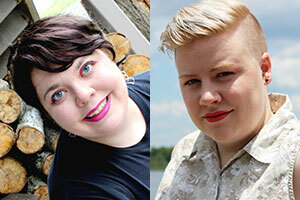 Emily Willis (writer) & Ann Uland (artist) are a married, comic-creating duo currently residing in Savannah, GA. Their collaboration is centered around queer historical fiction (Grave Impressions) or fantasy (Cassius). When not creating comics you can find them on the road, having epic adventures, or snuggling their cats.